The Schneider Group’s wool scouring and combing mill Pettinatura di Verrone Srl successfully completed the Textile Exchange Responsible Wool Standard certification process. In July 2018, the wool top making plant Pettinatura di Verrone Srl achieved the Responsible Wool Standard (RWS) certification. The Biella based mill is one of the Schneider Group’s four scouring and combing mills and is specialised in superfine wool tops and precious animal fibres such as cashmere and mohair. RWS is a new voluntary global standard by the not for profit organisation Textile Exchange. The standard addresses the welfare of sheep and of the land they graze on. While a large part of the standard is implemented on farm, it is important to maintain a chain of custody along the wool supply chain. This form of traceability and transparency gives certainty to brands and retailers as well as the final consumer. A certainty that the wool manufactured into RWS labelled textile products has been grown in accordance with the highest responsible standards. The certification process was officially started in May 2018 and moved forward quickly for completion in July. ‘We actually did not need to make any changes to the operation of the scouring and combing mill, as we are already working in accordance to the standard’s requirements,’ explains Piercarlo Buscaglia, CEO of Pettinatura di Verrone Srl. The mill has already been GOTS certified for many years and is therefore set up for the chain of custody system. ‘The decision to become RWS certified was an easy one for us to take,’ says Giovanni Schneider, CEO of the Schneider Group. ‘We believe that RWS will become a key standard in the wool industry and be requested by many of our customers,’ Mr Schneider explains further. Momentarily customers are only inquiring more information about RWS to the Schneider Group. Nevertheless, the company has already purchased RWS certified wool. 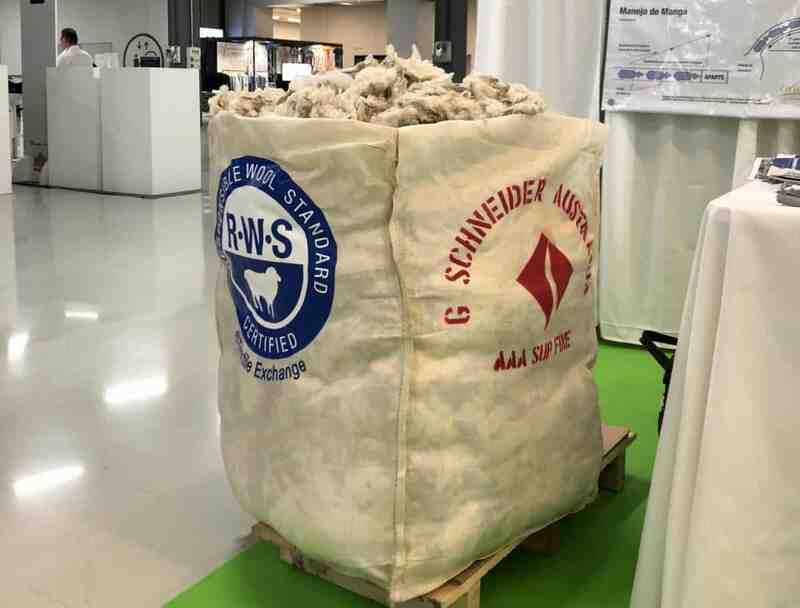 With the mill certification in place, the Schneider Group team is more than ready to deliver RWS wool tops for any RWS orders coming in the near future. Going forward, when the RWS standard gets extended to other animal hair fibres such as Mohair, Pettinatura di Verrone is able to process these certified fibres in accordance with the standard as well. For more information about RWS and the Schneider Group, visit the website at www.gschneider.com. Not only Pettinatura di Verrone Srl has been RWS certified, but also the wool combing mill in Trelew, Argentina completed the certification process successfully. The mill runs under the Schneider Group’s daughter company Fuhrmann. In addition to the mill, Fuhrmann also manages its own RWS certified sheep farms.